“Light only travels in straight lines” said his teacher. Unsatisfied by the notion, it became of utmost importance to prove to that the statement is very unscientific and obviously untrue. 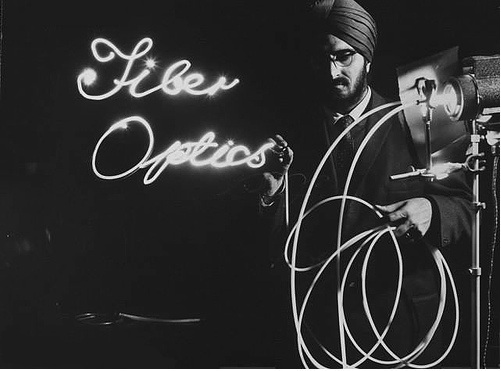 Dr. Narinder Singh Kapany was the man who proved that light bends and can be bent on purpose, for which he is acknowledged as the ‘Father of Fibre Optics’. It is normal for anyone to think that the above depicted rebellious attitude comes from a science graduate trying to make his mark as a scientist. However, this thought came from a gifted youngster at his school in Dehradun, India. This marked the beginning of a series of experiments conducted by Dr. Kapany since his school days to prove that light can be bent as required. After completing his graduate degree at the Agra University, he joined the Imperial College of London and conducted various experiments relevant to his theory. He was recruited by Harold Hopkins, who was working on developing flexible fibres for medical purposes. Along with Hopkins, he developed the flexible fiberscope system using unclad glass fibres; instead of prisms as he did in his school days. He could clearly see the application in the field of medicine for endoscopy and published a paper in the Nature magazine in 1954 titled ‘A flexible fiberscope, using static scanning’. Hopkins and another scientist, van Heel published papers similar to Kapany's. He completed his Ph.D. from the University of London in 1955. Kapany completed his new invention - the glass rod in 1956 using unclad fibers as opposed to modern optical fibres that use a cladding. Hereafter, he left for USA and promoted fibre optic technology and playfully quoted it as his ‘Indian optical rope trick’. 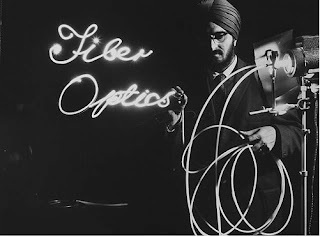 He coined the term 'Fibre Optics' in 1960. Dr. Kapany taught at the University of California (Berkeley and Santa Cruz) and Illinois Institute of Technology. He started companies like Optics technology Inc. and Kaptron Inc. in the United States; with the help of a local financial institution in 1960 and 1973, respectively. More than 150 patents are registered under his name including High Efficiency Light Transmitting Window, Fibre Optic Communication modules, Solar Energy Collector, Planar Hybrid Optical Amplifier, Blood Flow Indicator and Process, Apparatus for Coupling and Amplifying Light between Optical Fibres, Photorefractometer, Fibre Optic Isolator and Amplifier and many more. His major contributions are in Fibre Optics, Lasers and Diagnostic Medicine. Despite his significant contributions to the field his name was not included in the Nobel Prize for Fibre Optic Communications. His name remains absent from most textbooks in India and abroad. Kapany has been felicitated with the Pravasi Bhartiya Samman and The Excellence 2000 Award. He has keen interests in sculpting, philanthropy and art collection and has created 40 sculptures which were displayed at various art centres throughout the Unites States. 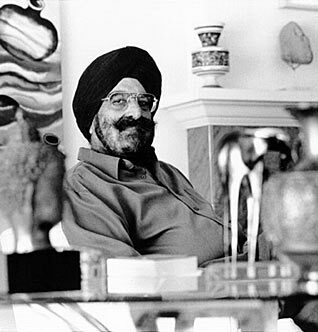 He made significant contributions to Sikh studies and promoted Sikh culture in America. 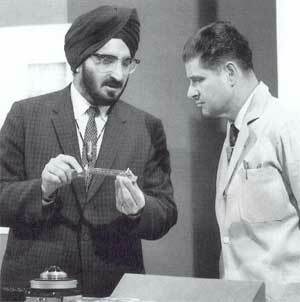 At age 85, Dr. Kapany is the founder of K2 Optronics Inc.; run in conjunction with his son, Rajinder Singh Kapany. He is actively filing patents and working in the field of Optical Fibers. He lives in the Bay Area with his wife, Satinder Kaur; son, Rajinder Singh (Hi-Tech Executive) and his daughter, Kiran Kaur (Attorney and Filmmaker). His undying passion for science, art, religion and culture depicts the composition of a personality that defines excellence. Sikhism defines knowledge as light and he showed light is knowledge, reflecting the true Sikh spirit. A true Lightbender!